It is our core priority for 2019-20 years to develop strong presence on European markets, and definitely Poland is one of the most attractive regions for us. Especially due to the fact that we found the right partner for that. 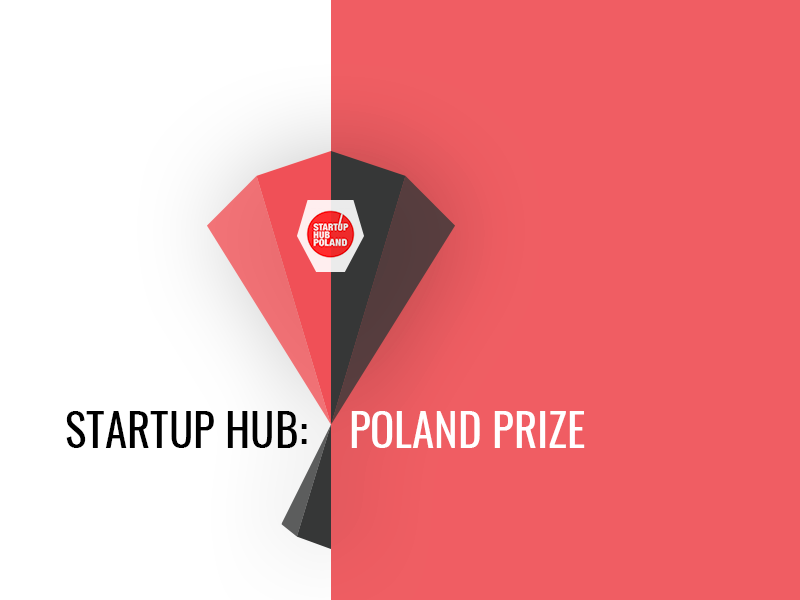 “Startup Hub supports us in a totally unique way and helps us entering the market with 38 millions of population, which has enormous commercialization potential and R&D culture. We believe our cooperation may become a new chapter especially due to growing startup and VC ecosystem in the country” – Alex Bondarenko, Founder & CEO of Discoperi. Next post Discoperi recognized as “The Best Global Road Safety Technology Company 2018”. Win TWO TICKETS to Formula 1 in Japan! Try your luck! Complete all steps of this short questionnaire and get a chance to win a trip of a lifetime. Be sure to provide accurate data for all questions. It’s a mandatory condition required by the terms of the contest. Last week, we attended one of the most important events in the blockchain community — The World Blockchain Summit arranged by Trescon in Singapore. The conference represents a series of elite events that take place around the globe including UAE, Kenya, Germany, Singapore, Slovenia, Malaysia, Saudi Arabia, Taiwan, Indonesia, Japan, China, and more. This time, the event brought together over 1000 participants among blockchain enthusiasts, technology experts, investors, and startups from about 20 countries. Along with the insights from gaming, finance and technology industry, the summit also included a unique platform for blockchain-powered projects — a regional event of the ​Startup World Cup. It is a global startup competition powered by Fenox Venture Capital that is organized in different regions to supporting and encouraging the world’s most prominent entrepreneurs. Fenox Venture Capital is a Silicon Valley-based global VC firm and has already invested in over 120 companies. The Fenox Venture Capital gives startups the opportunity to grow the business, find new partnerships and assists in developing the global strategy. Last time, the main prize went to Leuko Labs — the finger-based test that takes a minute to evaluate white cell levels. Startup World Cup is contributed by the key players of the high tech community, including John Chambers (Former CEO of Cisco), Steve Wozniak (Co-Founder of Apple), Reid Hoffman (Founding CEO of LinkedIn), Adam Cheyer (Co-Founder of Siri), Marc Randolph (Co-Founder of Netflix), and more. At the World Blockchain Summit, startups had a chance to share their vision and products with investors in a short pitch and win a chance to participate in the grand finale for a US $1,000,000 prize. 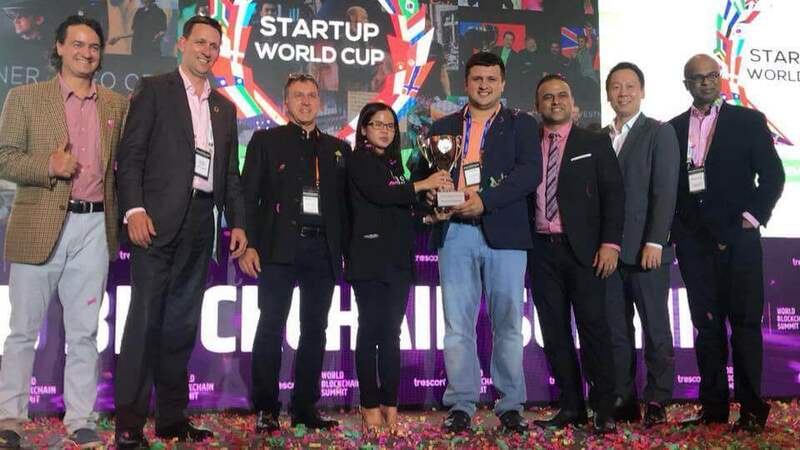 Projects shortlisted by the organizers of the Startup World Cup delivered their pitches to the panel of judges but only one could gain the cup. 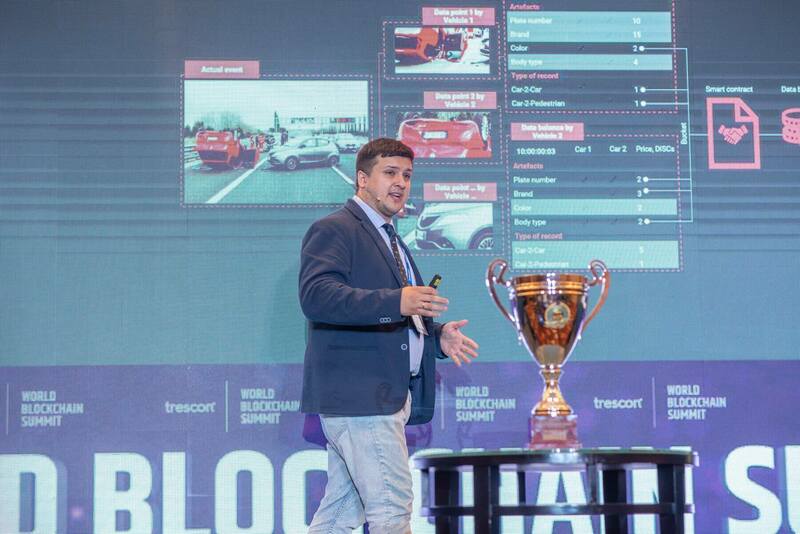 Discoperi CEO Alex Bond showcased System ‘Eye’ presenting how a tiny IoT device can predict and prevent car accidents using evolving AI algorithms, big data, a blockchain-based network protocol and the decentralized network of connected vehicles (DNCV). Along with founders of other innovative startups (Bluenote, Clarity, Fuergy — to name a few), Alex Bondarenko was waiting for judges to reveal its final decision. Our competitors were all worth winning as well but this time we got the cup, the claps and victorious confetti on the stage. Alex became the regional qualifier for the Startup World Cup and is going to attend the Grand Final in San Francisco next year. Next post Win TWO TICKETS to Formula 1 in Japan!